Are you one of those people who immediately think about pizza and pasta when someone mentions Italy or Italian food? If yes, this is a must-read article for you! Let’s start from the beginning. Do Italians eat pasta and pizza every day? Yes and no. Pasta is full of carbs and it only takes 15 minutes to prepare, therefore it is the perfect meal to have for lunch. Pizza instead is not a quick and easy dish, so people usually do not eat it more than twice a week. Yes, it can be bought anywhere and anytime, but Italians care for their health – keep in mind that one pizza contains around 700 kcal. Now comes another question: what do Italians eat for dinner? Surprise, surprise, it is not pasta! Let’s check what other dishes Italy has to offer. You can not go to Val d’Aosta – the smallest region of Italy close to France and Switzerland – and not have “polenta”. This is the only Italian region where pasta is not eaten every day, mainly because in the past wheat could not be grown here. 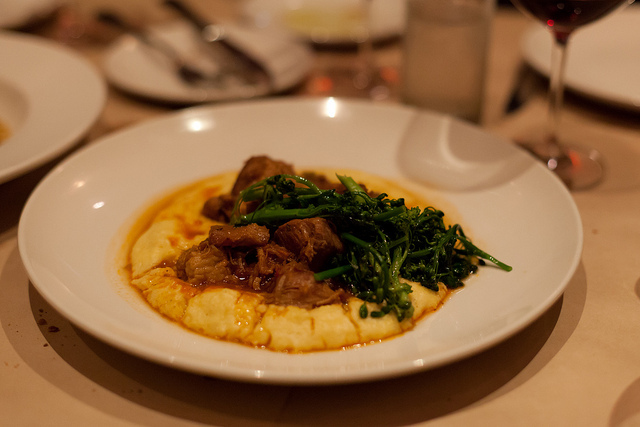 People then found another source of carbohydrates and replaced pasta with polenta. This dish made of cornmeal mush is usually served with sausages, ragù and wild game in particular. Other versions have cheese or eggs on top of the polenta. As in the past food was unlikely to be wasted, people always reinvented leftovers, and polenta is no exception: it can be cut in slices and then it can be grilled or fried. When in Milan, you can not miss neither “risotto alla Milanese” nor “lesso”. The first dish is made from rice, which is cooked with saffron, onion and butter among other ingredients. 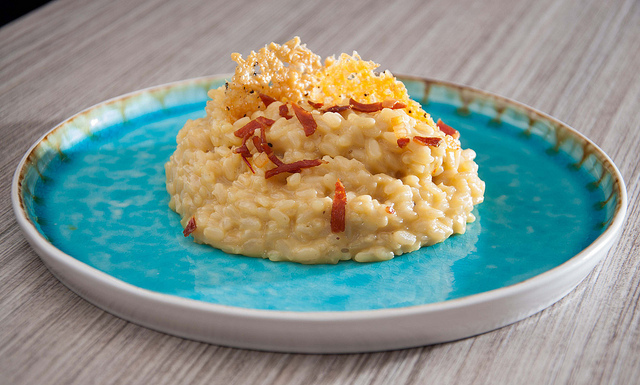 Risotto is a typical dish in the Lombardy region and you find it prepared in hundreds of different ways, just like pasta. 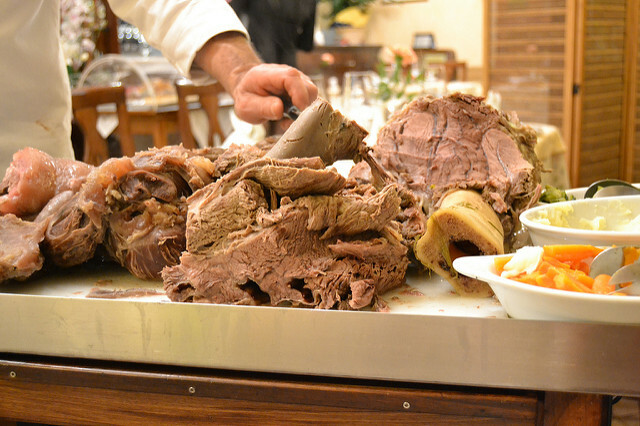 “Lesso” literally means “boiled”, and we are talking about different kinds of calf and beef meat. It looks easy to prepare and it actually is, it just takes five hours to boil to perfection! The peculiarity of the dish are three sauces the meat comes with. The green sauce (which is made of parsley, garlic, onion and capers), the typical mustard sauce from Cremona (a small town in the Lombardy region), and the “bagnetto rosso” sauce (made of tomatoes and bell peppers). Even if you are not a big fan of boiled meat, these sauces make it taste like perfection, so you definitely have to give it a try at least once. Have you ever tried courgette flowers? They are a true delicacy! The flowers can only be found in spring and they must be fresh – this means they must be picked the day they are going to be prepared. You can have them fried, make a sauce for a pasta or, as it happens in the Liguria region, they can be filled with many kinds of vegetables and parmesan cheese and then baked in the oven. Every region has its own version of the filling for the courgette flowers: some use rice and vegetables, others use meat and vegetables or even a great mix of all these ingredients! Have you ever heard about Emilia-Romagna? If not, what about “ragù alla Bolognese” then? Bologna, the city that gave birth to the most famous pasta sauce, is located in the Emilia-Romagna region, right at the border with Central Italy. This region is considered to be the home of pasta making, and in fact, the number of first courses it offers is infinite. 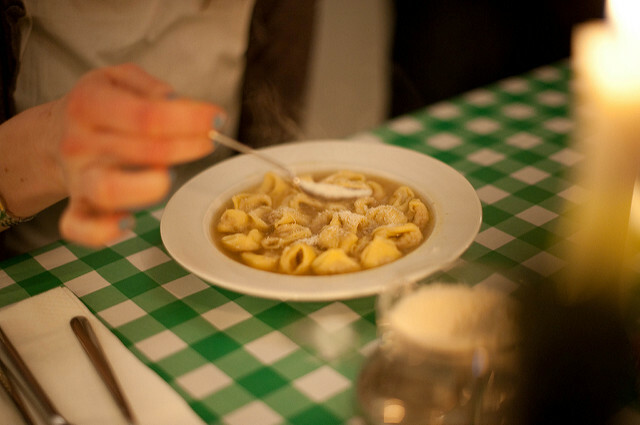 One of the most underrated dishes in the region is “tortellini in brodo”. As it is a hot dish, it is best enjoyed in winter, when it warms you up in a minute. The tortellini are made of pasta dough, filled with different types of meat and parmesan cheese, then closed and boiled in broth. They are served as a soup flavoured with parmesan cheese. Are you still sure you want to eat pasta and pizza every day while in Italy? You will definitely change your mind after you read what Central Italy has to offer! The first big region we meet is Tuscany. It has sea, hills and mountains. It has everything, even when talking about food. Cacciucco is the most famous dish on the northern coast of Tuscany. It is a great mix of many types of fish and seafood, cooked with tomatoes and spices. 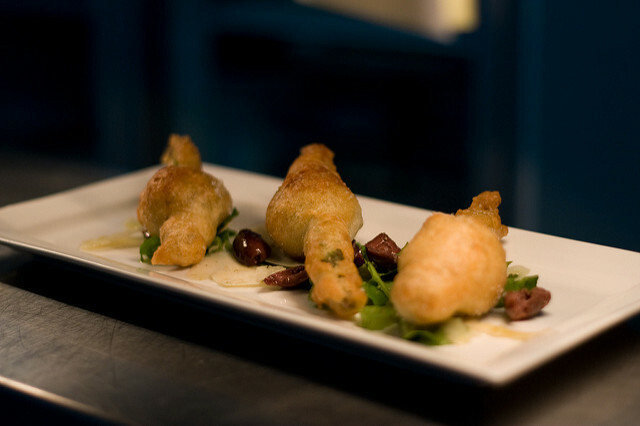 It is served with the typical Tuscan bread, famous for being unsalted. So, why did people in the past start cooking this dish? One of the laws at the time prohibited to use oil because it was not scarce and had to be used to fuel the lighthouse. As cooking cacciucco required a lot less oil than frying the fish, this delicious meal came to the world. Moving East and going to Florence brings us to the most famous steak of Italy: “bistecca alla fiorentina”, which literally means Florentine steak. It is a young steer sourced from the Chianina breed of cattle, which comes as a T-bone steak, grilled but very rare, and it is three fingers thick! When ordering bistecca alla fiorentina, please do not ask for a well-cooked steak, they will tell you that it is a blasphemy. 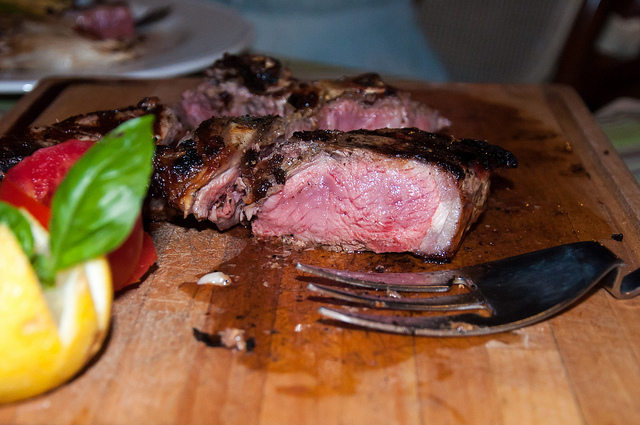 Since Florentine people are very proud of their steak, they claim to be the only ones to know how to cook it properly. Have I told you already that Italians use leftovers to make new dishes? Just as with polenta, the same thing happens to bread. I am still talking about unsalted bread, which originates from the Umbria region. 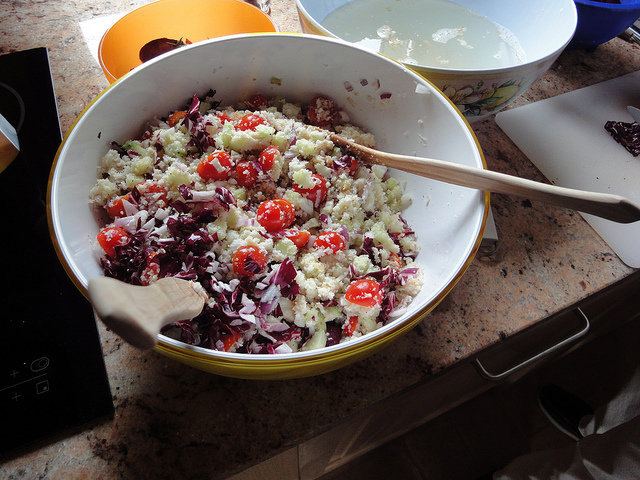 When it is not eatable anymore, people use it to make “panzanella”, which is considered to be a dish for the poor. Panzanella is a summer food, as it is made with fresh vegetables and salad. There are many versions, but all of them contain dry bread, olive oil, tomatoes, cucumbers, basil and garlic. So if you happen to read “panzanella” in your menu, please give up the idea of taking a Caesar salad, which has nothing to do with Italy, and give this traditional treat a chance! 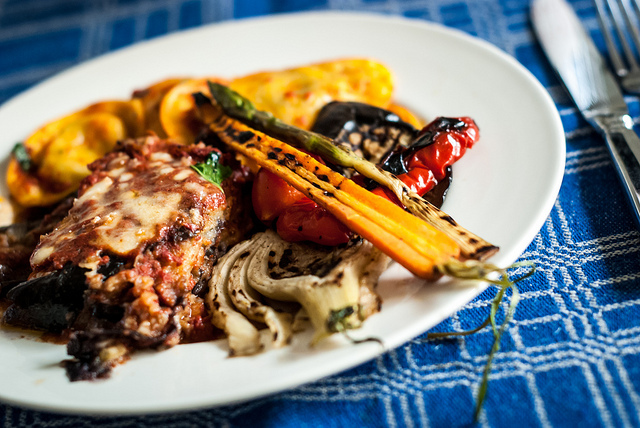 Moving south we find “parmigiana di melanzane”, a dish made of fried aubergines, dressed with tomato sauce and parmesan cheese, and cooked in the oven. It looks like lasagne, but it tastes completely different. Parmigiana di melanzane was invented in the Puglia region. You all know Capri island, I bet. 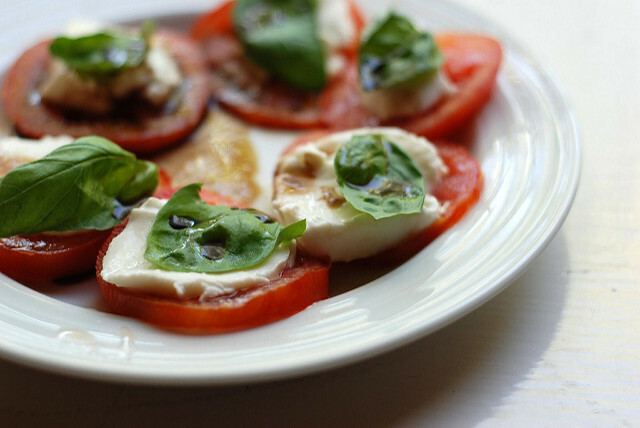 But do you know about Caprese salad? It is only made of tomatoes, mozzarella cheese and basil. The salad colors are red, white and green, just as the Italian flag, very patriotic. Last but not least, “arancine”. No, I’m not talking about oranges, although the name was given to this dish because of its orange colour. Arancine is shaped as a ball or a cone, filled with rice, meat and vegetables. 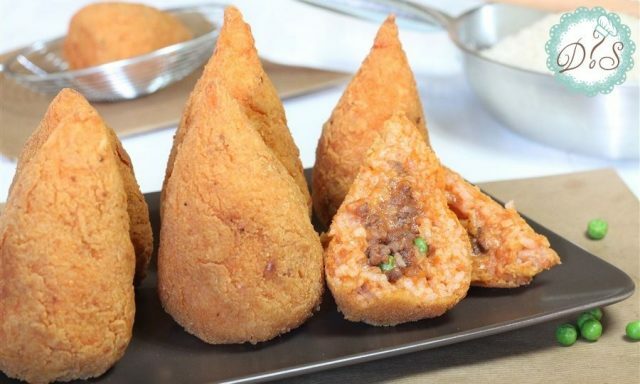 It is a typical dish of Sicily and it comes in different versions: you can find arancine with ragù and peas, or with ham and cheese, always wrapped in rice. Sounds good? It definitely is! I am now sure you added some of these dishes to your must-eat list for next time you come to visit Italy. Italians are very proud of their pasta and pizza, which is what foreigners usually eat in restaurants, but you will surprise the waiters and chefs if you ask for something more typical and less known. Do you think we should add more of your favourite dishes to this list? Let us know in the comments! Being of Sicilian heritage, I have always wanted to travel to Italy to take in the culture and sample the foods of different regions. 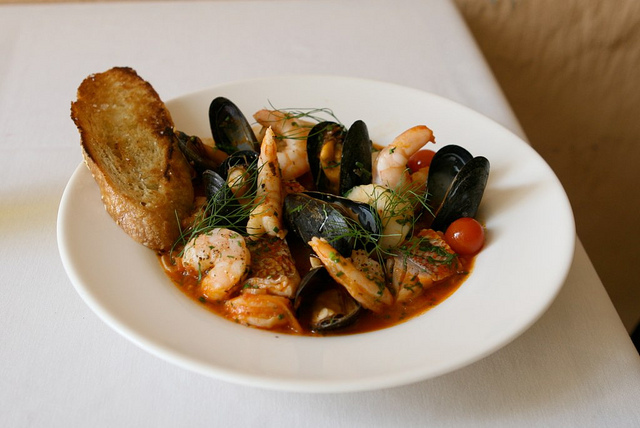 The Cacciucco looks outstanding as do many of the other dishes. These dishes look amazing. I love Polenta yet have some serious trouble cooking it. Italy is on my bucket list.